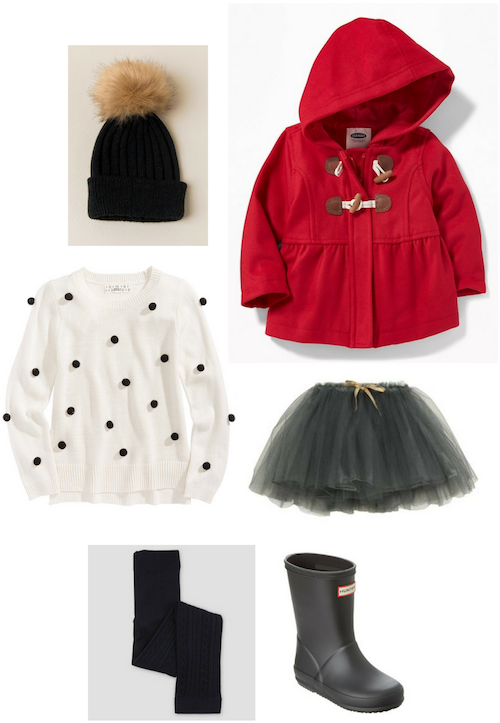 So I have put a collage together about the clothes I’d love to have for my daughter. Some pieces we already own, some will be purchased soon, and some still remain in that “Dream Closet’ I wish I had for her. 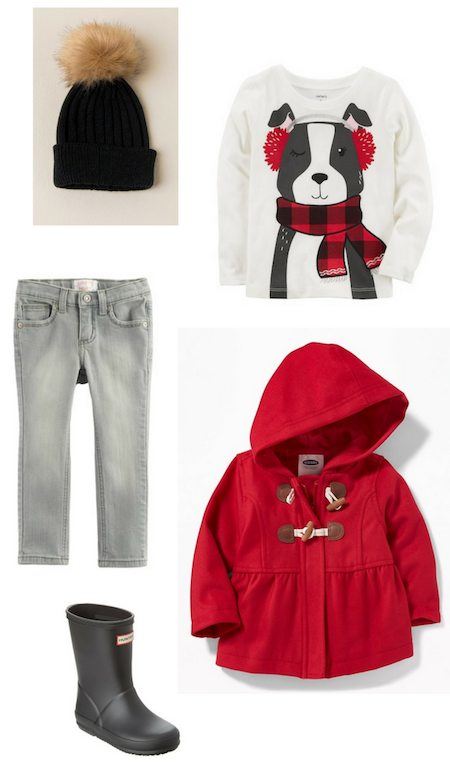 You can shop for the items at the bottom of this post, but until you get there, here are some great ideas on how to combine the pieces to achieve that adorable yet comfortable look that is so important when shopping for your toddler girl. Since UGG released their first pair of boots, I always dreamed of getting one for my baby. I own a pair myself, but they’re just irresistible in smaller sizes! Pair it with a nice skinny jeans, a holiday themed sweatshirt, a cute red hooded coat and a matching coloured beanie. 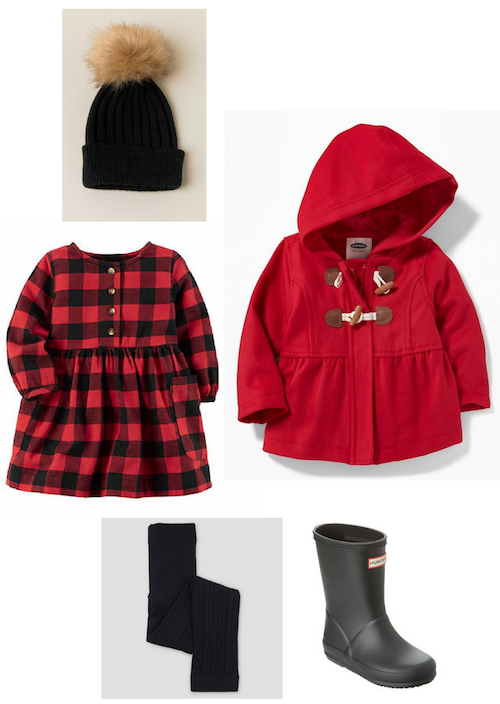 This Little Red Riding Hood outfit would make everyone smile on Christmas Day. I’m in love with this pair of Hunter boots. I know it’s not the cheapest rain boots ever, but I always try to stick to affordable pieces and add one quality item for every season. So for this Winter, Hunter boots will be the one. I’m not a big fan of the black colour when it comes to dressing my daughter, but I think mixing it with bright colours will make the looks balanced. And the dress speaks for itself. This tartan tunic and a pair of tights makes the outfit dressy but also easy for them to run around. Every little princess’ closet should include at least one nice tulle skirt. The bigger the better! I accidentally came across this cute little pompom sweater, which I adore and think would look amazing with the skirt and boots. And the so called pink and grey combination. Our go-to outfits for every day or occasion. It’s as simple as it is: Grey pants, pink top and a pair of comfortable pink booties. 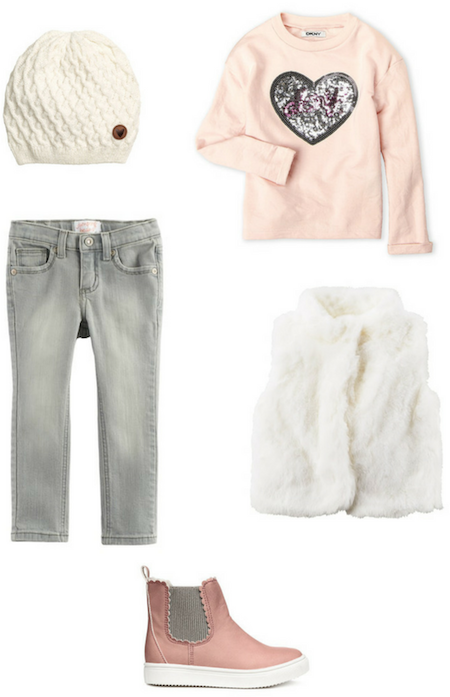 If it’s a little chilly just add the softest cream furry vest to keep her warm. It’s a great choice for a Sunday brunch with the family. Rain boots are essential when playing in a mud (which happens quite regularly in Winter). And you’ll be showing off this cute doggie t-shirt when you’re sipping hot cocoa after a big play in a nice café with Mommy. Simple yet great. 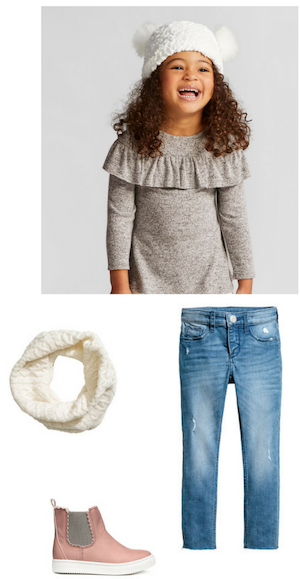 Jeans, a frilled t-shirt (because you’re still a girl! 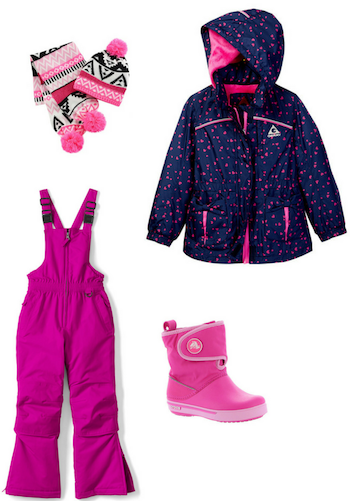 ), pink booties, and a hat and scarf is what will keep you nice and warm on a school day. Is everybody ready to build a snowmen? She will be! Snow boots, overalls, and a waterproof jacket is all you need. Oh and don’t forget your matching gloves, hat and scarf too. 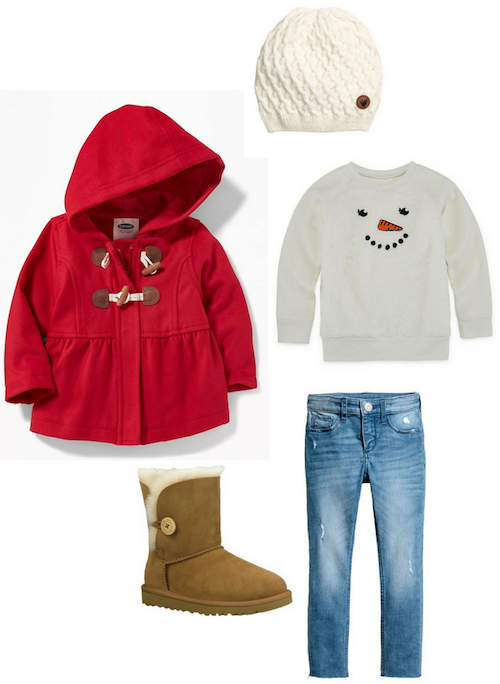 Now have fun shopping for some super cute items to your baby’s new Winter Closet and let me know what you think in the comments!